Kandao Studio provides a simple and elegant solution to help content creators produce 3D VR experiences with just one click, speeding up the post-production workflow. Complex manual parameter tuning is no longer needed since this is already taken care of through careful hardware design, meticulous calibration, and advanced algorithms. The output footage file formats are compatible with international standards and can be seamlessly integrated in any post-production tools that consumers may use. Obsidian produces 3D vision from every perspective, giving audiences a true sense of immersion. Besides generating stereoscopic vision true to human vision, our algorithms can capture thousands of viewpoints in addition to the left/right eye views. By providing the depth map of a scene, adding visual effects at any distance is quick and simple. Our unique 3D approach enables us to solve the stitching seam problem from its root and create a seamless experience. Not only do we use depth-aware alignment and advanced blending techniques, but our algorithms also detect prominent features such as human figures, architectural structures, and motions. This allows the technology to improve image quality and ensure temporal coherence. Obsidian has a 9-DoF motion sensors inside and the hardware with specifically designed algorithm that could greatly improve the smoothness of the video, which improve the watchers’ immersive experience. 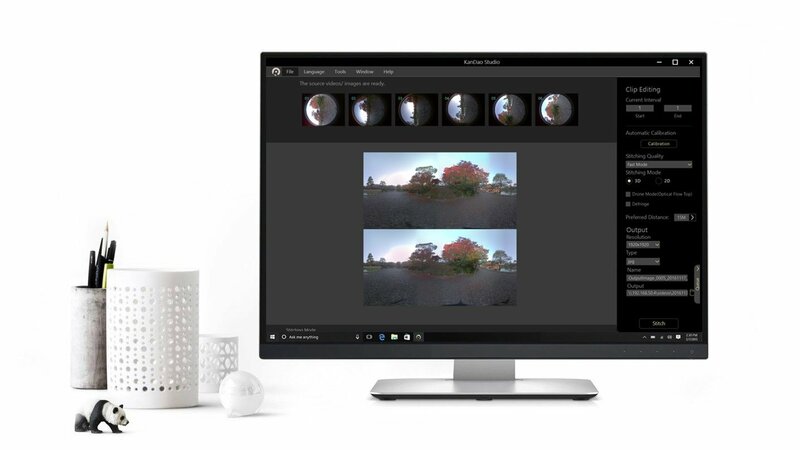 By combining software that estimates motion parameters and hardware sensor outputs, Obsidian creates a more accurate and stabilized image than its competitors. (you may need to upgrade the graphics card driver to the latest version).